Citizens of Riverbank never fear! Stink Bomb to the rescue! 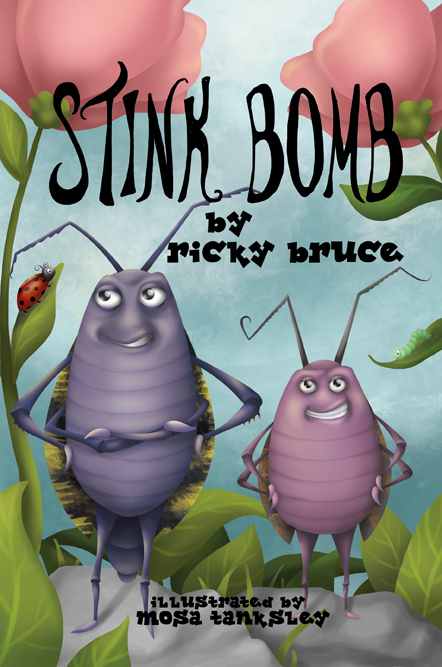 Join our heroes Stink Bomb and Grub as they protect the buggy citizens of Riverbank from the nasty spiders Arac and Nid. Rick Crawford, aka Ricky Bruce, lives in San Jose, California with his wife Marcia and son Clay. He has Bachelor of Arts in Social Science, a Multiple Subject Teaching Credential, and a Master of Arts in Education. He has 15 years of teaching experience and is currently an Educational Specialist for a charter school. He is the author of one other book for children, Ricky Robinson Braveheart. BISAC: Juvenile Fiction / Animals / Insects, Spiders, etc. Real visitors from outer space … Meteors! They come to Earth from other reaches of our Solar System. They’re meteorites and they have been puzzling and fascinating Earthlings for centuries. 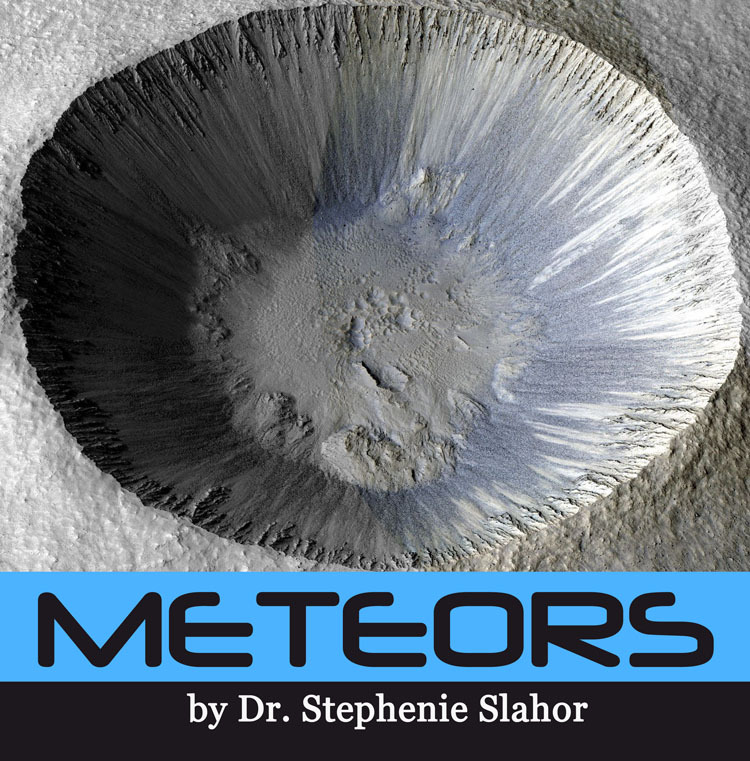 In this book, you’ll read facts about their origins and characteristics, but you’ll also learn some of the many interesting stories about meteors and meteorites. Stephenie Slahor holds a Doctor of Philosophy degree and a Juris Doctor degree. Her career spans the fields of journalism, law, administration and education. She has traveled extensively and has lectured and taught at many colleges and universities. 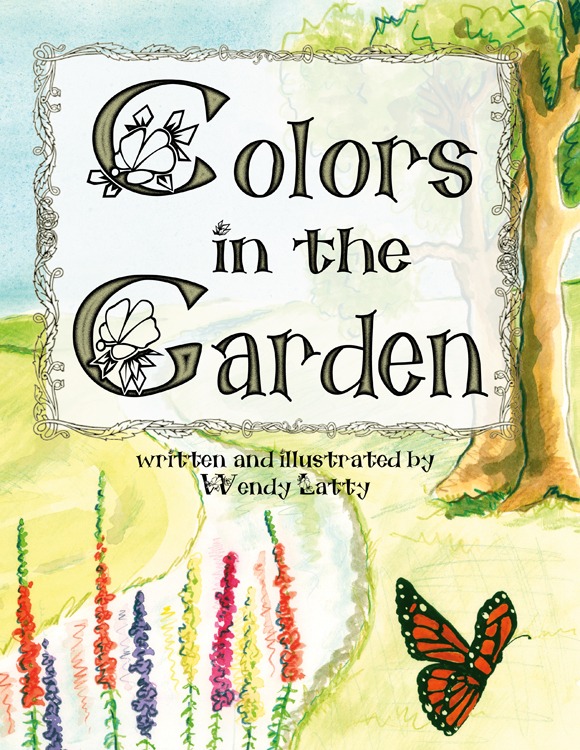 Colors in the Garden introduces the ROY G BIV color spectrum using plants and animals in natural environments which inspires children to see how these colors are displayed in the world around them. 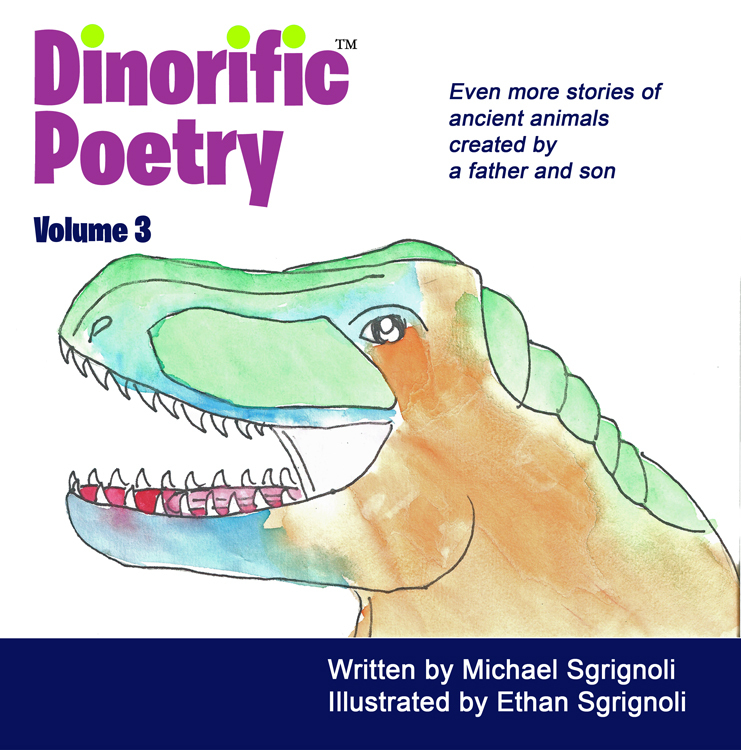 MECHANICSBURG, Pa. — Sunbury Press has released Mike and Ethan Sgrignoli’s third children’s book “Dinorific Poetry Volume 3: Even More Stories of Ancient Animals Created by a Father and Son.” The Mechanicsburg publisher of trade paperback and eBooks had previously reissued the first of two volumes. 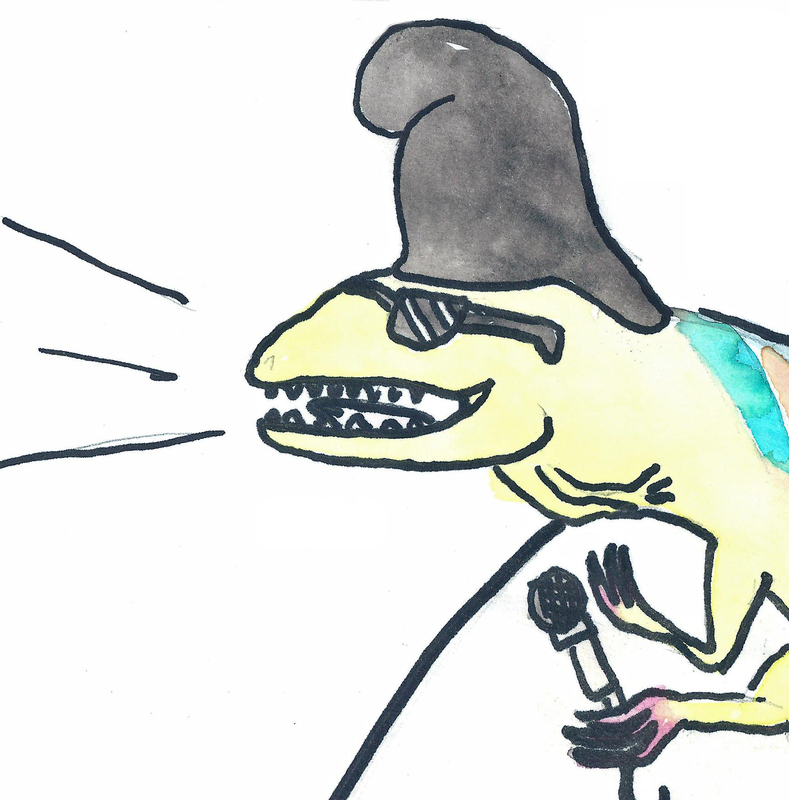 Can you really ever have enough dinosaur poetry? We don’t think so. So here’s ANOTHER batch of clever, fact-packed dino rhymes that tell stories, deliver information and challenge some long-held beliefs…all while keeping you entertained. Nineteen watercolor illustrations by Ethan, accompany his dad’s eleven original poems that feature the likes of Megalosaurus, Macrauchenia, Baryonyx and Cryolophosaurus. Plus, nine dinos use their unique attributes and take to the baseball diamond for a rousing game. Don’t sweat it, pronunciations are, of course, included. Be careful…you might just learn something. The Sgrignolis have risen to local acclaim thanks to their positive message and appearances at local schools, bookstores, childcare centers and other venues. Michael is a poet, musician, forward-thinking, public-speaking, rugged individualist who strives to be the best darn daddy ever while balancing a full time job. Ethan is a fun-loving, imaginative, animal lover who (his father believes) IS the best darn son ever. This father/son literary project has provided the setting to engender greater mutual respect and has delivered an even more precious gift: more time spent together. 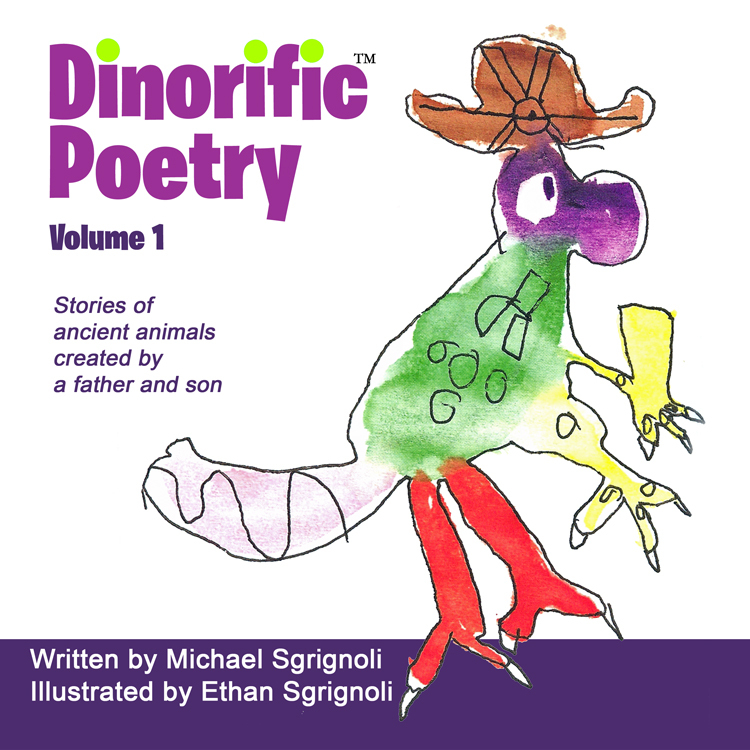 MECHANICSBURG, Pa. — Children’s author Mike Sgrignoli and his son Ethan, the illustrator, have signed with Sunbury Press to publish their Dinorific Poetry series. The Mechanicsburg publisher of trade paperback and eBooks has reissued the first of two volumes, to be followed by a third currently in the works. We’re upping the ante folks…14, count ‘em, 14 new dinorific ditties designed to dazzle dino lovers. You’ll meet Carnotaurus, Argentinosaurus and Megatherium (a 20 foot long sloth. Really.) We even delve into the ocean’s depths to meet Megalodon, Dunkleosteus and Kronosaurus. And did you hear the one about the dinos playing poker? You will. Father & son duo Mike & Ethan Sgrignoli are one Dinorific pair! 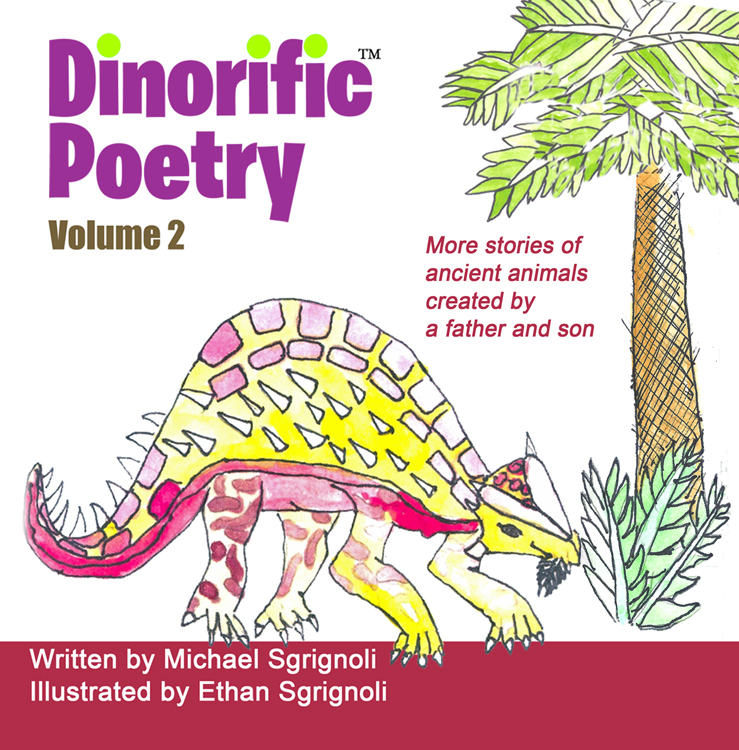 “Dinorific Poetry Volume 1: Stories of Ancient Animals Created by a Father and Son” features ten delightful poetic stories conceived by Michael coupled with twenty-two of Ethan’s imaginative watercolors. You’ll meet Diplodocus, Dimetrodon, Styracosaurus, Pachycephalosaur and a host of other unique and admittedly obscure dinosaurs. There’s even a story about where the skull of a Plesiosaur got mistakenly placed. Dig in! 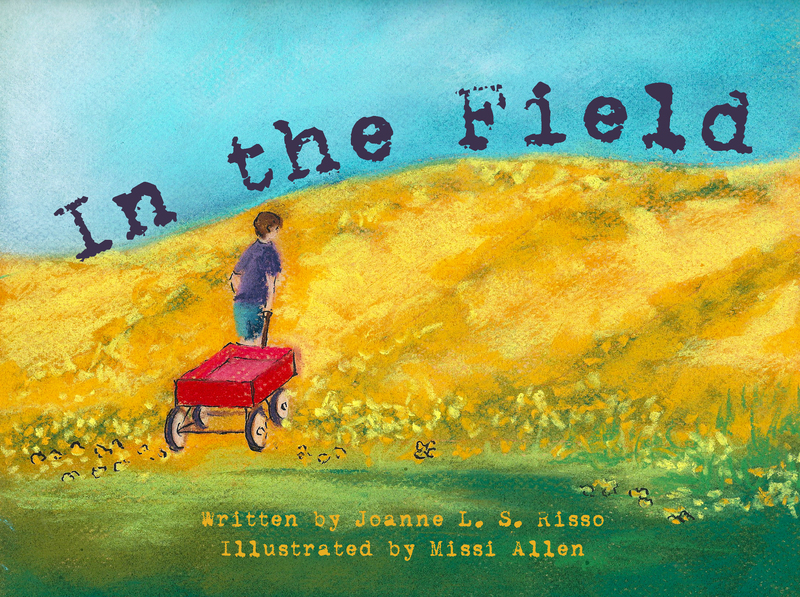 Mechanicsburg, PA – Sunbury Press has released Joanne Risso’s latest children’s book “In the Field”; teaching children about gardening and the cycles of nature. 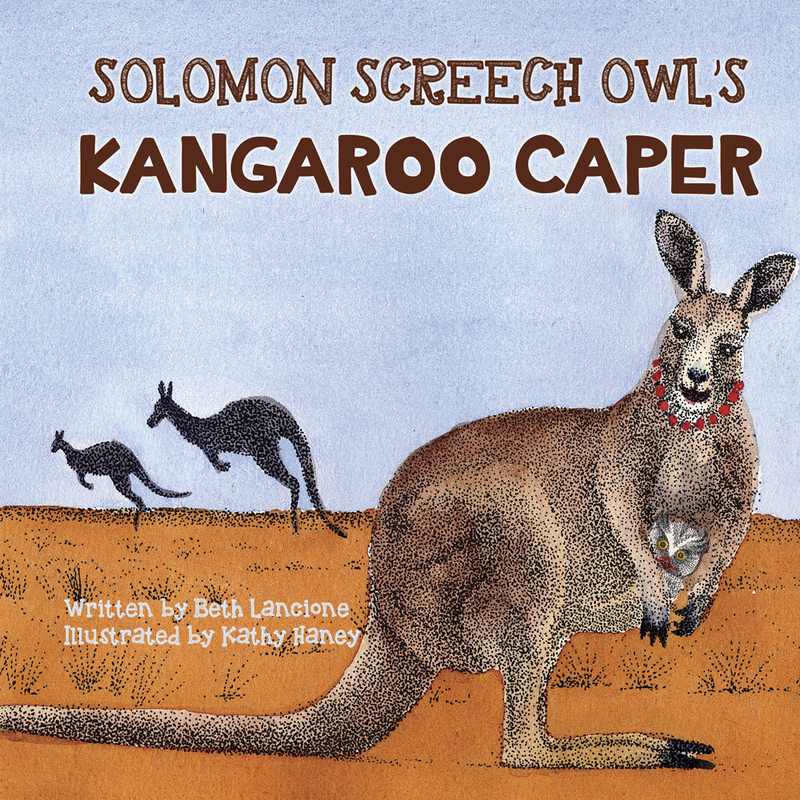 The book is illustrated by Missi Allen. 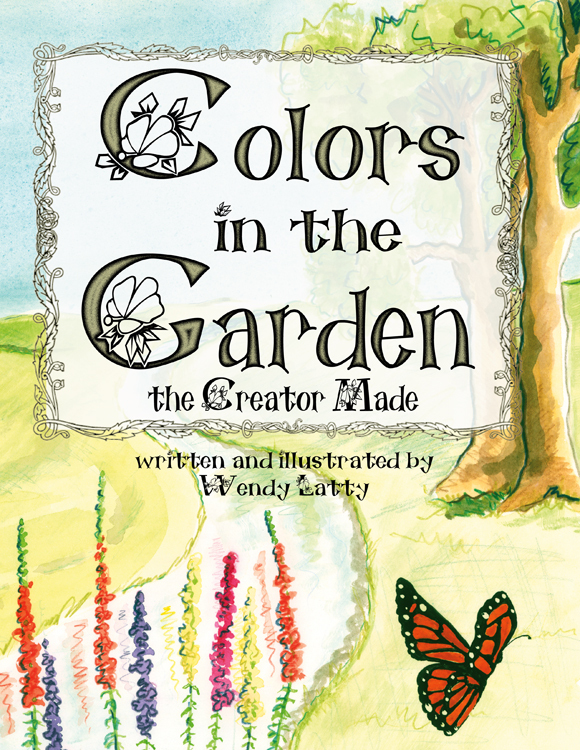 “In the Field” is a thoughtful journey in which a young boy discovers connections between his family and the environment. His desire to make his mother happy unintentionally interferes with the environment around him. How can he repair the damage he has done, and see his mother’s smile again? Joanne L.S. Risso was born and raised in Gippsland, Australia. Trained as a teacher, she has worked with children deep in the heart of Africa, Asia, Europe, Australia and North America. Joanne and her family take care of their garden: full of vegetables and flowers and weeds! She lives with her husband and four children in Central Pennsylvania. 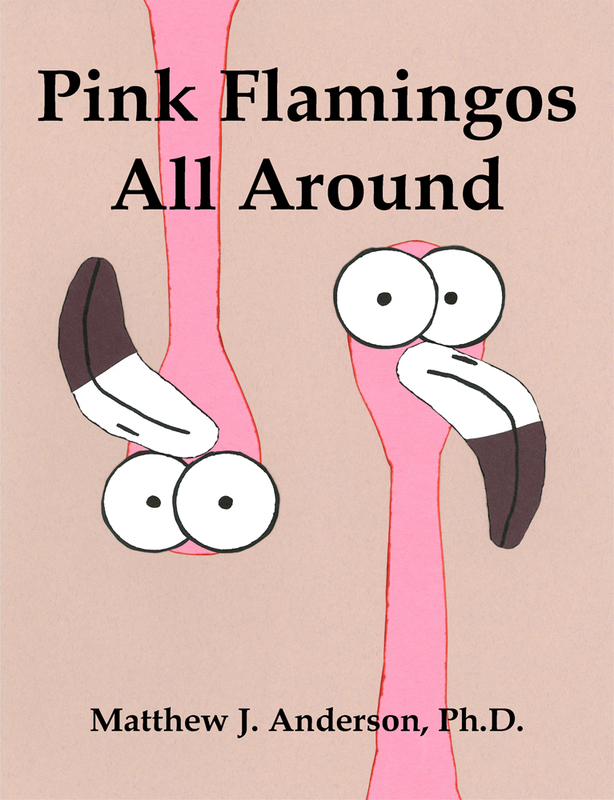 Please visit www.joannerisso.com to learn more about the author. Missi Brenneman-Allen lives peacefully and works happily in Schuylkill Haven, Pennsylvania. Please visit www.missiallenart.com to learn more about the artist.